When we designed our new namecards, we wanted something that would most accurately represent us – confident, understated and a little manic.We thought the best way to do that would be to simply spell it out. 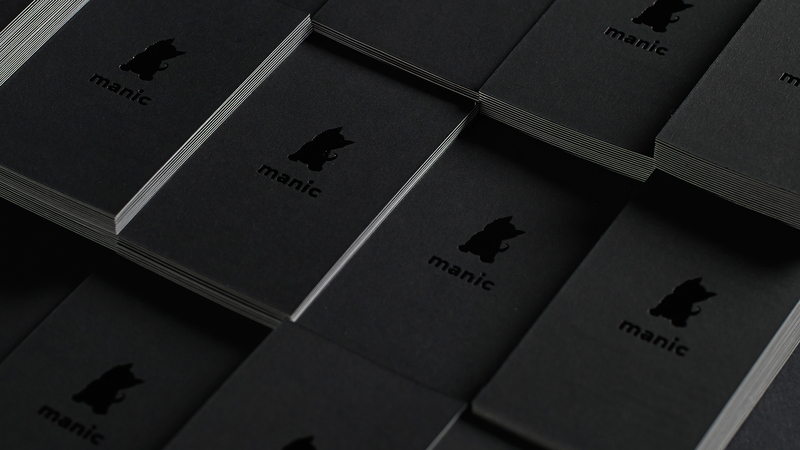 We had some great fun coming up with the copy on the back; and we promise, each line is accurate to each person here.As for the printing, we’ve always been a fan of tactile things, so we chose Sirio 80 Black 480gsm for its heavy stock and matte black texture. On the front, we foil stamped it in black because we loved the subtle, polished effect it produced. 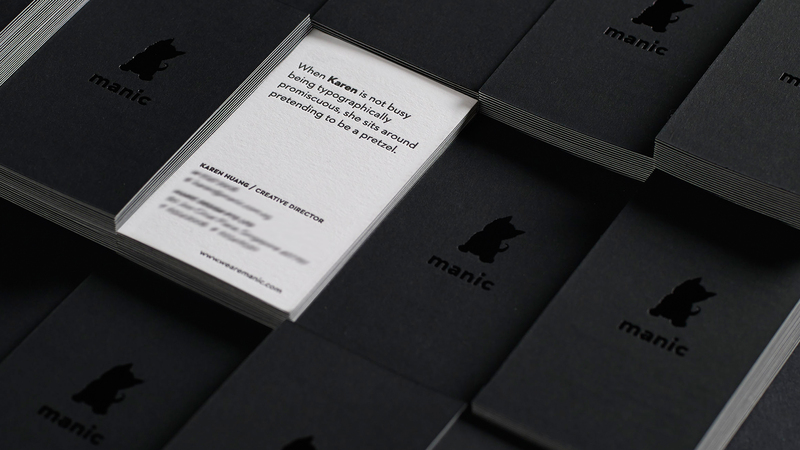 It also created a lovely contrast between the rich black colour of the text and the matte card stock.